Freshapple: How did I got pregnant? When did I got pregnant? How I got pregnant? When I got pregnant? People were pretty shocked when they knew about my pregnancy. Cos it just happened so fast, too fast! We ROM on the 25 Jan 2013. We started living together during Jul 2013. We had our customary wedding on the 15 Sep 2013. And I got pregnant during Jan 2014. One fine day, I was discussing with a friend about pregnancy. She told me getting pregnant ain't that easy as you think. Don't know why those dramas always make it like so easy get pregnant. Some people just keep trying so hard also couldn't have one. But sometimes, I do believe its Fate lah. I always wanna have a kid, but on the other hand... I wanna enjoy and explore more countries! That's why I'm like in a dilemma lah. So, my friend was telling me, timing is important, also some ways to enhance lah. Then, I lame lame itchy backside go and try la! 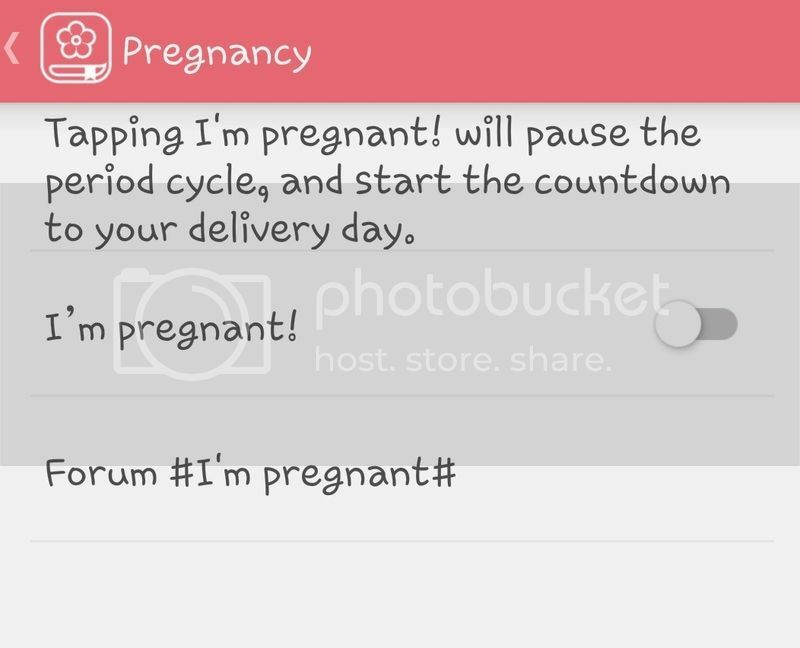 And the next following month, no come menses liao lo, jia lat liao lo! Interested to know? Drop me an email then. 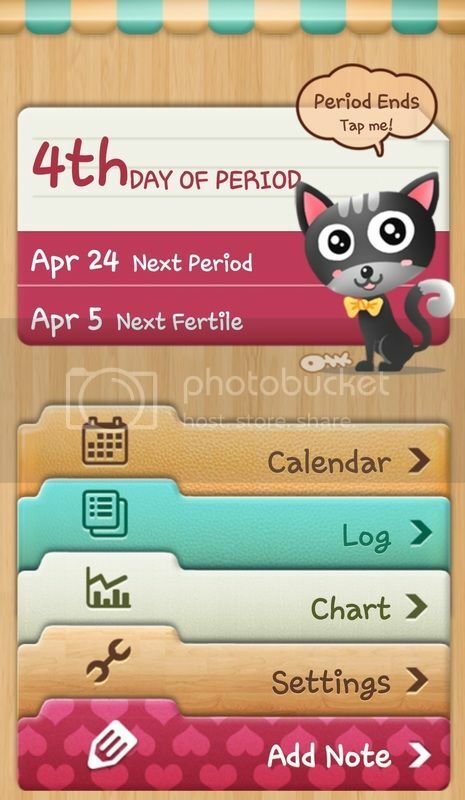 But, first thing first, its good to download an app to track your menses, ovulation date, etc. 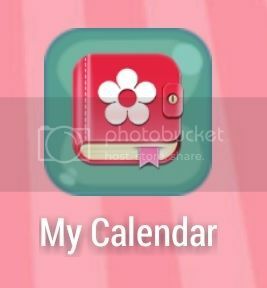 For me, I'm using this app as shown below. Easy to use. 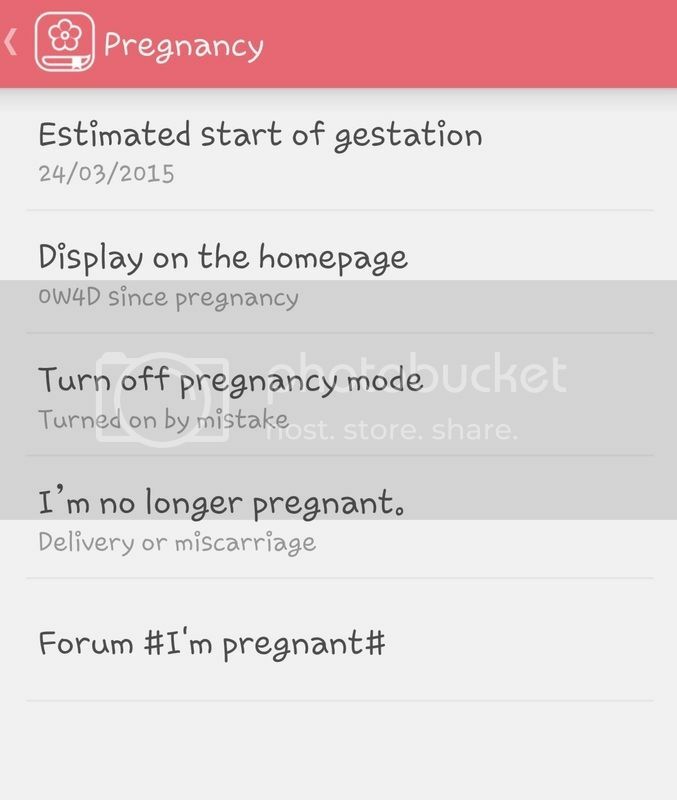 When your period starts, just click "Tap Me". Then, it will start the count the number of days and your most fertile date. When your period ends, tap it again. 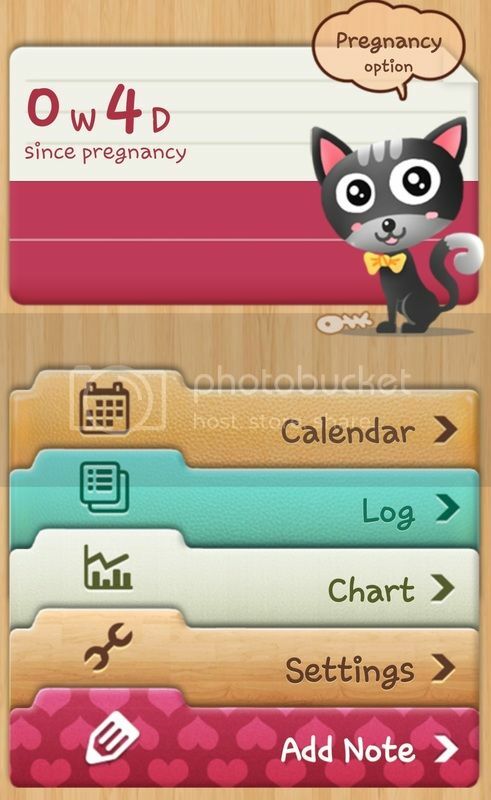 And you can turn this menstruation period tracker to your pregnancy tracker right away. You can turn off anytime and go back to your menses cycle. Showing that you are 4days pregnant! haha! When did I know that I got pregnant? Probably also a little of women instincts. My menses were normally quite accurate, and it was already at least 5 days late. And and and.... Hubby always likes to ask me to run towards me and hop onto him and kiap tight tight. So, I was also kinda worried.. what if I really pregnant hor, then I kept run run and hop on like that, like a dangerous leh. Eventually, I decided to buy a test kit. I cried immediately. Felt kinda lost suddenly. Oh, I was at the midst of planning for Maldives trip. and oh, I was left with the last year to graduate. How? how? why? what? now?! I told my hubby, close friends and family immediately. Sam was happy, but I was still kinda lost. 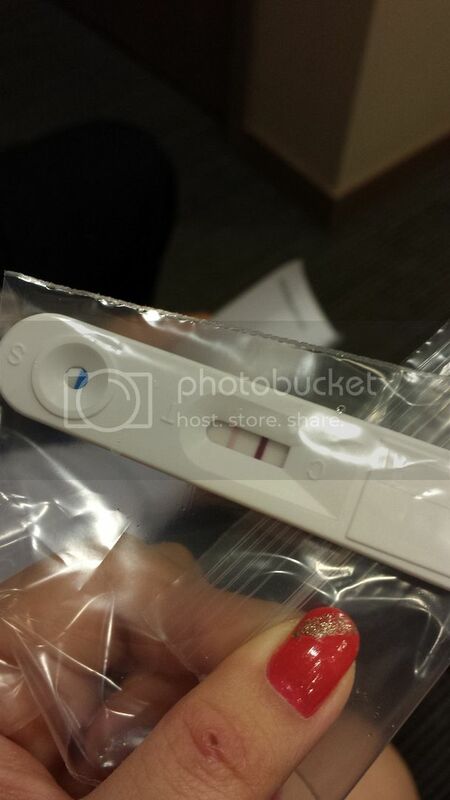 To double confirm, we went down to my panel clinic and have another test again. Sam was saying we should be happy you know? Some people tried so hard but couldn't. I'm just feeling lost mah. Cannot let me emo a while meh. My friends gonna graduate before me mah... I gonna continue my last half of the studies alone lei. Oh, forgot to mention, that I delayed the last 3 modules, cos I don't think I can cope. Also, the lab doesn't allow pregnant ladies. Now, that I'm writing this blog entry, my both friends have graduated already :( I need to clear them off ASAP! Ok, back to baby topic. Once you know you are pregnant, just go to guardian pharmacy and get some folic acid. It plays an important role in the production of red blood cells and helps your baby's neural tube develop into her brain and spinal cord. In fact, if you are preparing to have baby anytime, you may just pop a pill a day. So, if you know you are pregnant, please stay away from raw uncooked food, caffeine (tea and coffee), smoking. These are the basic ones to stay away from. You want a healthy baby right? Tell you more about this at the next post. Next entry, I will update on the process of my pregnancy. Stay tuned! 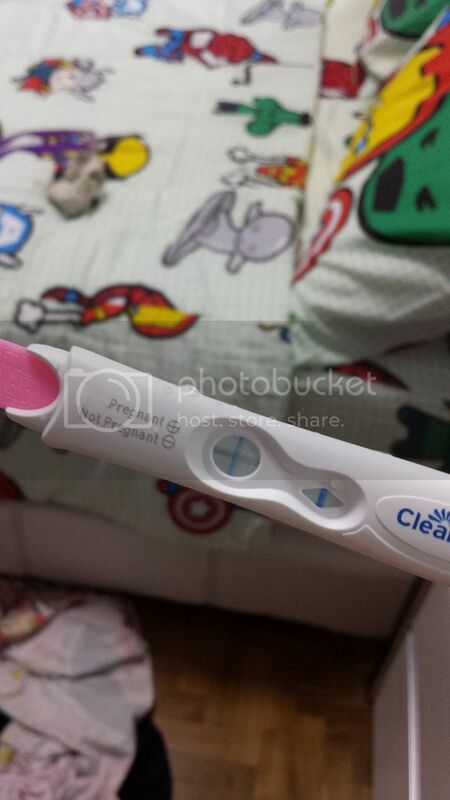 Click below on my first trimester of pregnancy.